The client was a subsidiary of one of the multi-billion dollar oil and gas majors. Having built up a big network of service stations in the UK with a progressive forecourt and shop development programme, the company acquired an extra refinery to support it. The acquisition raised the question of whether to integrate or replace the refinery’s ERP system. The parent company used J.D. Edwards whereas the refinery used SAP. Conventional wisdom would dictate that the refinery system move to J.D. Edwards to fit with the parent company. However the IT Manager questioned the need to do this, given the latest technology developments and cost. It would be a big project and a significant investment with little to show in the way of business benefit. Refining operations were quite separate from the retail and distribution side and besides, the IT people in the refinery had SAP skills. Set against that, the refinery was using an old version of SAP R/3 4.6, which would need upgrading as the extended support expired. In addition hardware support had been outsourced to a third party and the new owner wanted to bring this in-house. This required migrating the system from SUN Solaris to the new IBM iSeries AS400 operating system. The IT manager and his team decided the fastest and lowest cost option was to migrate the system onto the new hardware first and then upgrade later in the year. However, his team was relatively small, they already had a high number of business imperatives and he knew that these sorts of projects have a nasty habit of running into unforeseen difficulties. He therefore decided he needed the most experienced and most qualified external support he could find. He chose Pivot. Sure enough, unexpected issues did arise. The version of SAP was so old, that the migration kit supplied by SAP only catered for a move from Oracle database engine version 8, when in fact it was moving from the more recent version 9. This was compounded by the fact that IBM iSeries servers were so new that they would not support parts of SAP R/3 version 4.6. The Pivot consultant, fully accredited by SAP and with their blessing, rose to the challenge by compiling a bespoke migration kit, to overcome the Oracle database engine issue. He also built new installation routines to overcome the issue with the newness of the IBM hardware. 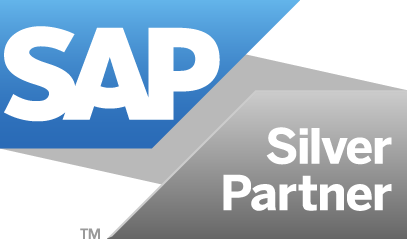 Finally, Pivot provided the client with a test system in line with SAP best practice. Up to that point, the refinery had operated only production and development systems, which was inherently risky. Hitherto any changes could not be thoroughly tested prior to going live in the main system. The system has now been successfully migrated and has approval of SAP for its ongoing support.